On December 9 & 10, 2015, Missouri LICA participated in the 5th Annual Damage Prevention Summit held at the Ozark Empire Fairgrounds in Springfield, MO. 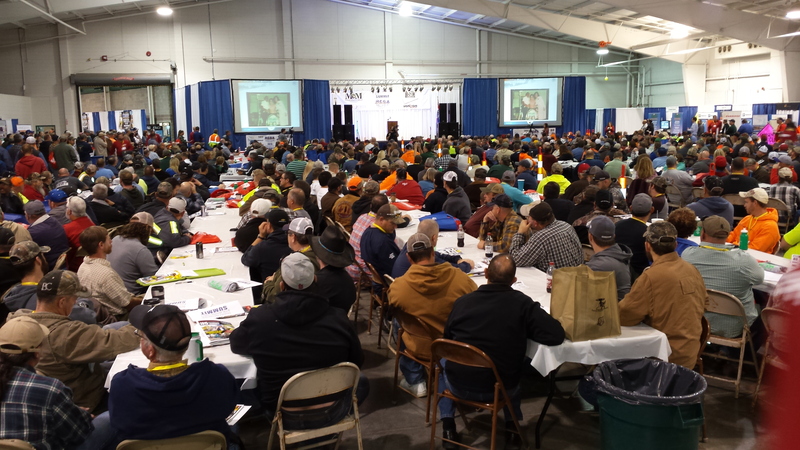 More than 1,500 contractors took advantage of the free safety training sessions, as well as the heavy equipment displays, exhibitors, door prize drawing, live trench collapse rescue, “flying t-shirts,” and much, much more. Paul Teutul Jr.’s appearance on the 811 motorcycle was hailed with a tremendous pyrotechnics show, after which he stayed to take pictures and sign autographs. Once again, Missouri LICA hosted the equipment rodeo, offering contenders a chance to show their skills and win some cash! We want to offer our very special “Thank You” to the Missouri LICA member Larry LaFollette for being our point man, as well as to Missouri Common Ground Alliance and all its volunteers for making this year’s Summit the best so far! Check out some of the pictures below.